Like pieces on a chess board, the players are all aligning to create a New World Order, that is of course after the fall of the Old World Order. History would record the Belt and Road Forum in Beijing marked the juncture where the 21st century New Silk Roads assumed their full character of Globalization 2.0, or “inclusive globalization,” as defined by President Xi Jinping in Davos earlier this year. Here are the key topics – Curtesy of RT. 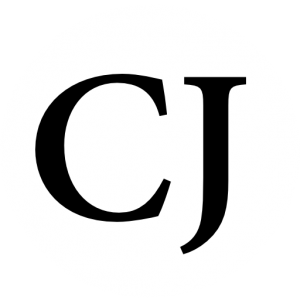 There is now a “unique opportunity to create a common cooperation framework from the Atlantic to the Pacific – for the first time in history.” Essentially, this is what Putin himself had once proposed – then shunned by EU/NATO – even before Xi announced OBOR in 2013. Through trade, the two Eastern countries of Russia and China are formidably attempting to create a “civilization-wide project” that will expel the US from deep Eurasian integration. In fact, the new roads Russia is embarking on will further implement the phases of polarity as they are attempting to ween the US off of its unipolar/bipolar stance. The (Russian backed) Eurasian Economic Union is an economic union of states located primarily in northern Eurasia. A treaty aiming for the establishment of the EAEU was signed on 29 May 2014 by the leaders of Belarus, Kazakhstan, and Russia, and came into force on 1 January 2015. 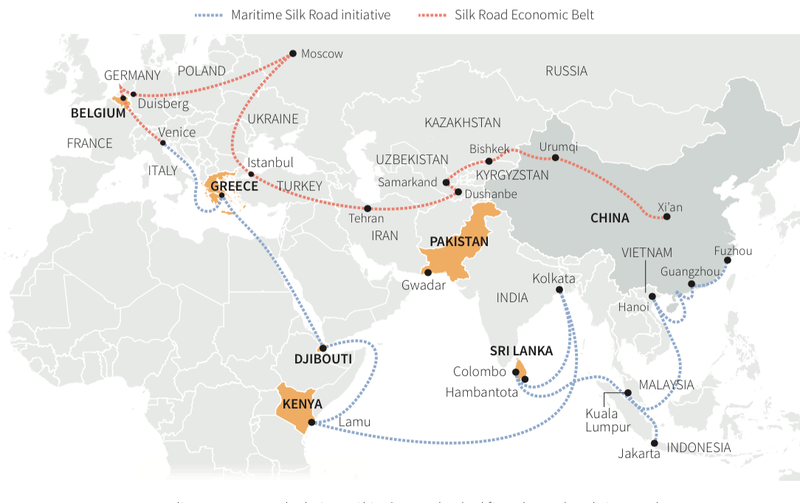 The OBOR/BRI: One Belt, One Road (OBOR) or the Belt and Road Initiative (BRI); is a development strategy, proposed by Xi Jinping that focuses on connectivity and cooperation among countries primarily between the People’s Republic of China and the rest of Eurasia, which consists of two main components, the land-based “Silk Road Economic Belt” (SREB) and oceangoing “Maritime Silk Road” (MSR). The strategy underlines China’s push to take a bigger role in global affairs. At the turn of the year, China called for a New World Order and was prepared to replace the United States if need be. In fact, China is so sure that they are going to replace the US, that Xi the president of China attended the Davos ‘elite’ forum and pushed the same punchline for globalization. With Putin in attendance at the OBOR forum, Putin aligned Russia with the OBOR project. 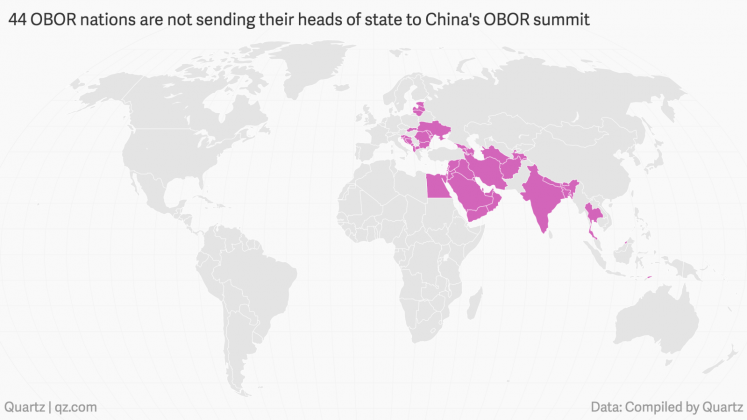 This incredibly large agenda, OBOR, is for 62% of the World’s population. The agenda will include droves of infrastructure work, and spans from the deep East China all the way too Belgium in Germany. As of right now, what have they accomplished? The flagship projects include the $46 billion China-Pakistan corridor, a 3,000km high-speed railway connecting China and Singapore, and gas pipelines across central Asia. The Belt and Road initiative has also entered regions as far as New Zealand, Britain and even the Arctic. Nearly $500 billion worth of projects and M&A deals were announced in 2016 across seven infrastructure sectors including utilities and telecoms in OBOR countries, a decline from 2015, according to a report from audit firm PricewaterhouseCoopers (pdf) in February. A third of the projects and deals were in China, PwC said, and the rest spread across other OBOR nations. With Putin in agreement, China is peddling away at the project, and the next meeting is in 2019. The European Union is hanging in the balance of this monstrous plan, and of course, trade with the US is at stake as this spans across the entire Eurasian continent. Pepe Escobar. 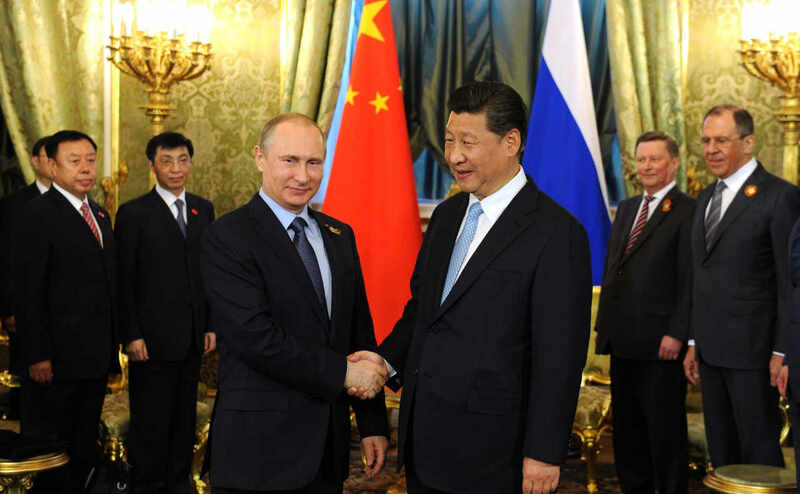 “Putin aligns with Xi in crafting the new world (trade) order.” RT. . (2017): . .
Zheping Huang. “Your guide to understanding OBOR, China’s new Silk Road plan.” Quartz. . (2017): . . Does that mean an end to perpetual warfare? Unfolding according to scripture in real time!